CHEVY VOLT FOR $40,000.00, OR CHINA VW FOR $600.00? 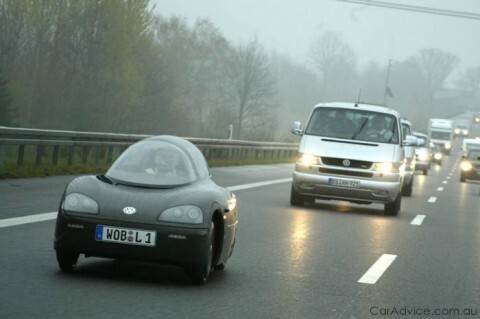 China’s new little car aka “The Highway Suppository”. This is not a joke and they do sell for $600.00. They won’t be able to make them fast enough–good just to run around town. Here’s a car that will get you back and forth to work on the cheap…$600 for the car. 258 miles per gallon. Only a one-seater, however – talk about cheap transportation…. Volkswagen’s $600 car gets 258 mpg. It looks like Ford, Chrysler and GM missed the boat…..again! China launches $600 car that will get 258 mpg. This $600 car is no toy and is ready to be released in China next year. The single-seater aero car totes VW (Volkswagen) branding. 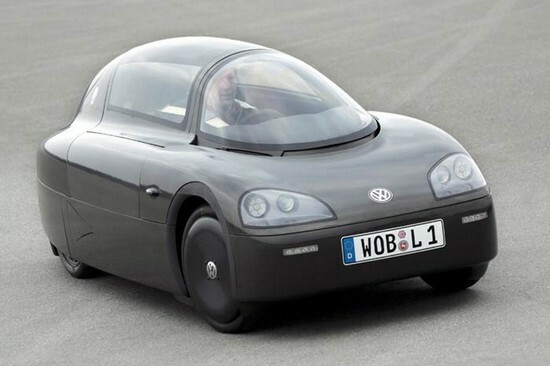 Volkswagen did a lot of very highly protected testing of this car in Germany, but it was not announced until now where the car would make its first appearance. The car was introduced at the VW stockholders meeting as the most economical car in the world. The initial objective of the prototype was to prove that 1 liter of fuel could deliver 100 kilos of travel. Spartan interior doesn’t sacrifice safety. The body is 3.47 meters long and just 1.25 meters wide, and a little over a meter high. The prototype was made completely of carbon fiber and is not painted, to save weight. The power plant is a one cylinder diesel, positioned ahead of the rear axle and combined with an automatic shift that is controlled by a knob in the interior. The Most Economic Car in the World will be on sale next year. Better than the Electric Car – 258 miles/gallon: IPO 2010 in Shanghai. This is a single-seat car From conception to production: 3 years and the company is headquartered in Hamburg, Germany. Will be selling for 4000 Yuan, equivalent to US $600. ← QUIT TRASHING OBAMA’S ACCOMPLISHMENTS! Looks like Maxwell Smart now has a portable “Cone of Silence” LOL! I like the concept, Build it HERE in the USA! I can’t help wondering what the future holds for machines like this…… it’s still personal transport, it still emits CO2 in its manufacture (and the ratio of manufacture to driving emissions is far higher than in the case of building a conventional car, seeing its remarkable fuel consumption). I think we should be saving all the fossil fuels we have now left to build low amounts of renewables for the future, not private transport…… what do you think? I think you’re full of it. We should have the American auto companies design one for us here in the North American community. I think you should be the first to give up your car and walk, or cycle, everywhere, Mike. Lead by example, buddy. last time I filled my car was December 4 2014…….. and it’s still 1/4 full. There will always be people that will never be satisfied with anything. Get into the real world mikestasse, I live 4o miles from the nearest town. Do you suggest we all become urbanites and bicycle to work??? Interesting. But, as a patriotic American, I try not to buy chinese goods. It’s German. China is just the market their selling them in. German Design …….. Made in China? Got to be… cheap labour, low chemical safety. Churn em out. the post ‘does’ mention the speed….. I would buy one immediately. I have always maintained that a single cyl. Diesel engine could achieve amazing results. Who wouldnt want to hyper-mile to work on the cheap? Keep my fun car for the weekends! Single cylinder diesel. I take it VW have done something about noise absorbtion. Have u heard a single cylinder Larmbardini? Where do I put my groceries? I love the idea. someone will be creating trailers to match!